Boston Mesothelioma Lawyers have spent months documenting the cities across the country that have been exposed to asbestos-laced vermiculite due to mining and processing procedures. 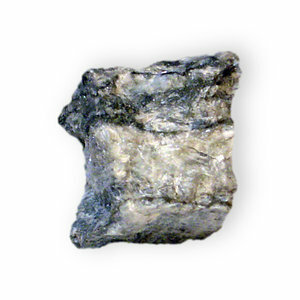 Vermiculite was mined mainly in Libby, Montana, which produced 70 percent of the country’s supply the natural mineral from the early 20th Century until 1990. Much of the vermiculite was tainted with asbestos, which has been linked to illnesses, including mesothelioma, a deadly and incurable cancer. Asbestos has never officially been banned in the United States, but companies have curtailed its use due to the clear link to illnesses and cancer. When ingested, those exposed to asbestos don’t realize it. The microscopic flakes travel through the blood system and land on the lining of major organs, such as the lungs and heart. They can stay, largely unnoticed, for years and sometimes up to 30 or 40 years before a mesothelioma diagnosis is made. Once diagnosed, the average life span is 12 months. This debilitating cancer, and other asbestos-related illnesses like it, were largely preventable. Because of its ability to insulate and help buildings be fire-retardant, it was a popular product. It was used not only as insulation, but also to manufacture ceiling and floor tiles and peat moss, among other products. But as workers in mines and older buildings along with U.S. Navy seamen and other military personnel where it was used began falling ill, companies who knew of its dangerousness should have stopped using it. Many did not. This series looks at the processing plants in cities where asbestos-laced vermiculite was shipped and a recent study by the Centers for Disease Control and Prevention, which did testing on the sites to determine the amount of exposure and the amount of asbestos there today, some two decades after the Libby mine stopped shipping vermiculite across the country. Mesothelioma in Denver: This Western Minerals Company plant operated from around 1967 to 1990. The plant processed vermiculite contaminated with asbestos. More than 100,000 tons of vermiculite was processed at the plant. Since 1990, the site has been occupied by Minnesota Corn Processors, a corn syrup manufacturer. In 1990, while the plant was still operating, about 13,000 people lived within one mile of the site, according to U.S. Census data. Soil sampling showed that asbestos was still in the ground to this day. Mesothelioma in Phoenix: This W.R. Grace/Solomon’s Mines company plant operated from 1964 until 1992. The CDC reports that the mine processed more than 100,000 tons of vermiculite in the nearly 40 years it operated. The plant continues to process vermiculite, but from safer sources, the CDC reports. Mesothelioma in Glendale: The Ari-Zonolite Company plant processed vermiculite from Libby between 1951 and 1964. Plant workers processed more than 100,000 tons of the mineral. As with all sites, workers, those who lived with workers and those who lived near the site may have been exposed to asbestos. A checkup with a doctor may be appropriate.